NOTICE: This post contains subject matter of a sensitive nature and graphic images. Twitter is blowing up with the hashtags #TurkeyFailed and #ArmenianGenocide. Why? April 24 is the official date of remembrance for the Armenian Genocide, and 2014 marks the 99th anniversary of those atrocities. 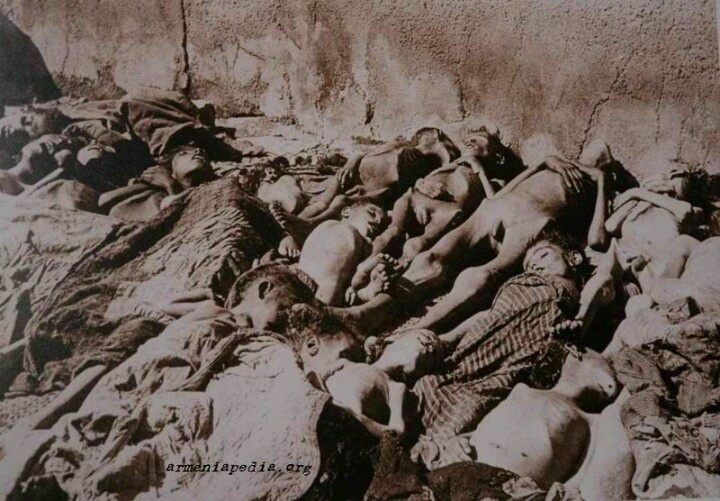 On April 24, 1915, the Turkish government actively began plans to massacre Armenians. Over the course of a few years, they murdered 1.5 million Armenians in the first act of genocide in the 20th century. Whole villages were rounded up and executed. Men and women were raped and tortured in heinous acts. Thousands upon hundreds of thousands were sent on death marches, forced to walk without water or food until they died. Young children were sold by Turkish soldiers or kidnapped by families and taken as slaves. Here is video testimony of Astrid, a Genocide survivor. These events were widely accounted for, documented by, and written about by English, French, German, and American witnesses, including Henry Morgenthau, the United States Ambassador to the Ottoman Empire. He formed the Committee on Armenian Atrocities to raise awareness and to supply aid. Unfortunately, nothing stopped the Turkish government from carrying out their campaign of annihilation, especially as World War I served as a cover for their crimes. Despite Turkey’s plans to annihilate an entire ethnicity, a few Armenians survived. 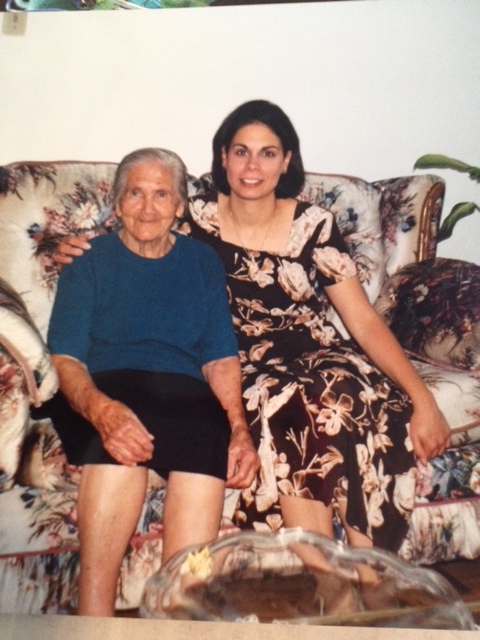 One was my maternal grandmother, Siranoush. 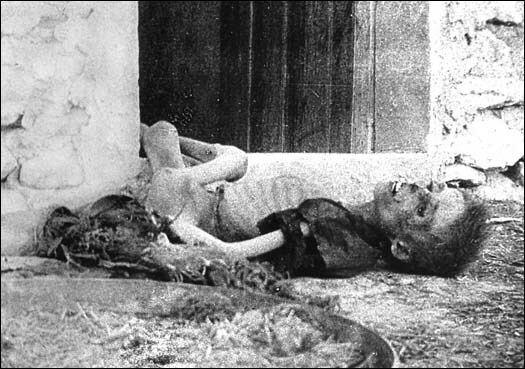 She was very young at the time of the Genocide, perhaps three or four, so young that she could not remember her surname. She was a survivor of the battle of Musa Dagh (Musa Ler, Mountain of Moses) and stayed in a refugee camp in Egypt. She was sent back to Musa Dagh as an orphan after the Genocide was over. When she got married, she moved to Antioch in Syria and from there to Damascus and then Beirut, Lebanon. None of this was an easy life. She was widowed at a young age and left with five children. The youngest is my mother. Despite terrible economic hardship and having to flee yet again due to Lebanon’s civil war, my Nana didn’t just survive, she lived. She had many grandchildren and was honored by her family until her death. Had Turkey been stopped, perhaps my grandmother and other grandparents would have had much easier, happier lives. 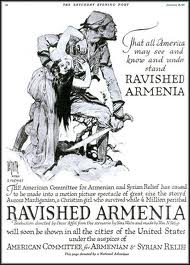 Perhaps the millions of Armenians would have been saved. Perhaps the country of Armenia would not struggle economically-—had more men and women survived to till its soil and build its industry. Perhaps my heart and those of my fellow Armenians would not have to grieve for the horrors our ancestors faced. Perhaps my grandparents would not have been orphaned. Perhaps my parents and I would not have been products of the Diaspora. Perhaps my children would have happier stories to tell about their ancestral history. Perhaps April 24 would be a date of celebration instead of commemoration. But the Genocide happened. Despite Turkey’s denial, despite its campaigns to revise history, despite its attempts to extricate itself from wrongdoing, Turkey murdered 1.5 million Armenians. BUT Turkey failed in its attempt to wipe out a culture. It failed because the Armenian culture is alive and strong and well. It failed because millions of Armenians around the world recognize that they must continue despite a tragic past and the burdens of such a history. It failed because we still sing songs and listen to our music. We still recite our literature. We still pray our “Hayr Mer” (Our Father). It failed due to the bravery of those who stood against it. It failed because I, like so many others, am here today. It failed because my children and their generation know their history. 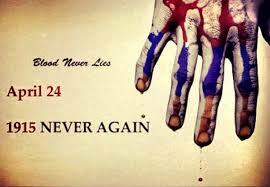 It failed because the Armenian Genocide will not be forgotten. And that is why, 99 years later, April 24 matters. To this day, Turkey does not recognize the Genocide and actively teaches against it. Twenty-one countries and 43 states of the USA do recognize the Genocide. Please consider signing the Change.org petition urging the US Congress to recognize the Armenian Genocide. You Can Have Your Tea and Enjoy It, Too. Tea has been a part of my life since childhood. Between being born into an Armenian family and spending my formative years in London, I was surrounded at an early age by dried leaves of splendor. A cuppa (or cupper) was the beverage of choice when my Mum’s friends dropped by for a quick visit. Likewise, we were served tea when we went visiting. I don’t think I can recall anyone ever saying, “No, thank you. I’ll have a coffee instead.” That, in the pre-Starbucks England of the ’70s to mid ’80s was unheard of. Tea was everywhere. 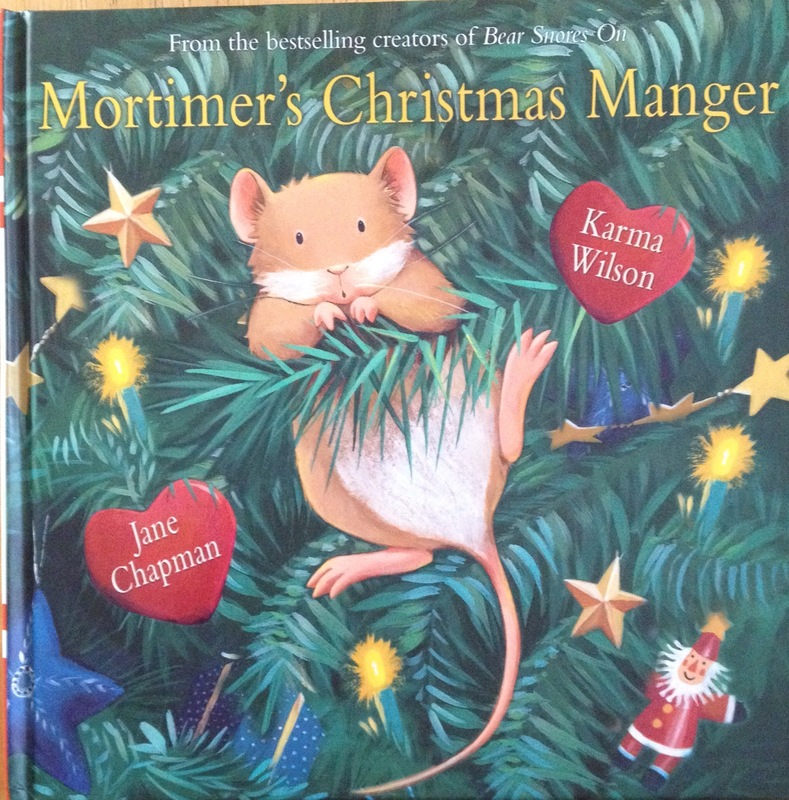 We saw it on the telly on adverts (commercials) and shows, such as EastEnders. The PG Tips monkeys were very popular and the company ran a long campaign with them (1956-2002). You couldn’t get away from the stuff, not that you’d want to, and drinking tea was as much a part of the day’s activities as breathing. Of course, there was tea time (otherwise known as afternoon tea) and high tea. We would come home from school and our Mum had tea and iced buns or Bakewell tarts waiting for us. We’d slip out of our school uniforms into our comfort clothes, and enjoy the tea as its steam warmed our hands, cheeks, and noses. 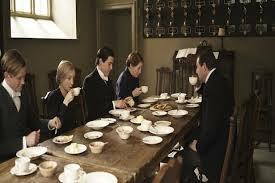 That was our tea time, usually around 4 p.m., and we held to it for all our England school days. Every now and then, we’d have high tea, which is distinguished as more of a meal, something like supper. For high tea, we would have sandwiches, perhaps some fish and vegetables, and, of course, tea with the cosy on the teapot. 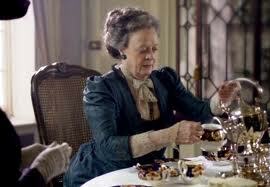 For us, tea time was almost a daily occurrence; whereas, high tea was occasional. I remember both very fondly. 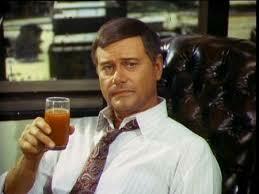 Maybe J.R. is enjoying a Long Island Iced Tea? Less tasty was my first venture with iced tea. My younger sister and I made it on a whim, after viewing an American evening soap opera, perhaps Dallas or Dynasty. In any case, we knew iced tea was an American phenomenon and, thus, it had the allure of glamour. There we were in our kitchen, measuring the water, dropping in the teabag, waiting for it to cool, and adding in a few ice cubes. Maybe we didn’t brew it correctly, or, more likely, our taste buds weren’t used to it, but we were disgusted at the first sip. Everything about it seemed wrong–from pouring tea into a glass instead of a cup or mug to watching the ice cubes bob away. We couldn’t understand how Americans could suffer the stuff. We thought they were as nutty as their behavior on the soap operas indicated. Many years later, I’ve grown to love iced tea and it is my cold (non-alcoholic) beverage of choice. Nostalgia aside, I like the associations that tea carries with it. Coffee has a place in my household, and its aroma is delicious. However, I find that coffee is almost always linked with caffeine addiction and getting through a tedious workday. Tea tends to have more positive connotations. Tea is healthy. When was the last time you heard anyone state, “Yeah, the doctor said I had to give up tea”? Probably never. Tea has proven medicinal benefits, such as protection against heart disease and types of cancer. 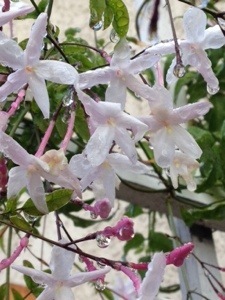 My Mum would serve us mint tea when our stomachs hurt, and, many years later to this day, the smell of mint tea conjures the same loving feeling that I felt as a child. Beyond my Mum’s herbal remedies is scientific proof in Dr. Oz’s article about the benefits of tea. In fact, “there doesn’t seem to be a downside to tea,” says American Dietetic Association spokeswoman, Katherine Tallmadge, MA, RD, LD. You can read more about the types of teas and their health benefits here. Another wonderful attribute is that tea is communal and comforting. You offer a cup of tea to soothe shaken nerves or for warmth. People ponder and reflect and commiserate while having a cup. Even young children play tea party, where they mimic the hospitality of serving and sharing tea. Within many countries (China, Japan, India, Afghanistan, for example), the sharing of tea is ritualized. Some rituals are for more formal occasions, such as the Chinese wedding tea ceremony, and others are honor-bound, such as the offering of tea to guests. People share it, and that’s one of the many things that makes tea so lovely. Finally, tea has quite the association with another of my favorite subjects, literature. Esteemed writer C.S. Lewis is quoted as having said,”You can never get a cup of tea large enough or a book long enough to suit me.” Henry James, acclaimed American author, stated, “There are few hours in life more agreeable than the hour dedicated to the ceremony known as afternoon tea.” I couldn’t agree more. Check out this flavorwire article on 25 famous tea drinkers. Most of them are authors, and there’re some musicians and actors in the blend. I especially like Morrissey’s take on tea: “One day I decided to try to have a complete day without tea. I was quite shaken. I was quite disturbed.” I know what you mean, mate! I can’t go a day without a good cup of Earl Grey, Darjeeling, or Irish Breakfast. 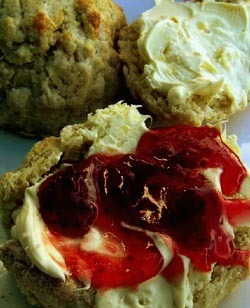 So, whether you are of the likes of the Downton Abbey staff or of the Countess Dowager’s ilk, whether you add cream, sugar, lemon, or leave it be, you can have your tea and enjoy it, too. I greatly enjoy Downton Abbey. The drama, the formalities, the tea, the fancy clothes, and snarky, witty remarks. Love it. All of it. And, I’m not afraid to admit it. So, here’s the curious thing. I have two male friends who watch the show, but won’t admit it widely. Only a couple of us fellow viewers who have been sworn to secrecy know that they watch it. That’s right, it’s all very hush-hush, just like Edna’s affair with Branson. Friend #1 believes that his wider circle of sports-loving, beer-drinking friends will taunt him. (And knowing those guys, he’s probably right.) He can’t bear the idea of such humiliation and its resulting loss of respect. So, he chooses to watch by his lonesome and discuss Lady Mary’s frosty demeanor, Carson and Mrs. Hughes’ unrequited love, and Thomas’ schemings behind closed doors with his chosen few. Friend #2 is sure that Downton Abbey falls in the same category of “Anglophile pretentiousness” as Dr. Who and Sherlock. That is, Americans who watch these are a bunch of wannabes who quote these shows to demonstrate just how very clever they are. His wife watches, so, of course, he must helplessly watch along with her. Problem is, he really digs Downton Abbey. He just can’t admit it openly because he’s spent so much time dissing it and the people who watch it. Where can I get this dress?! Because it is simply stunning!!! Seriously, if you have info on where I can purchase a version of it, let me know! 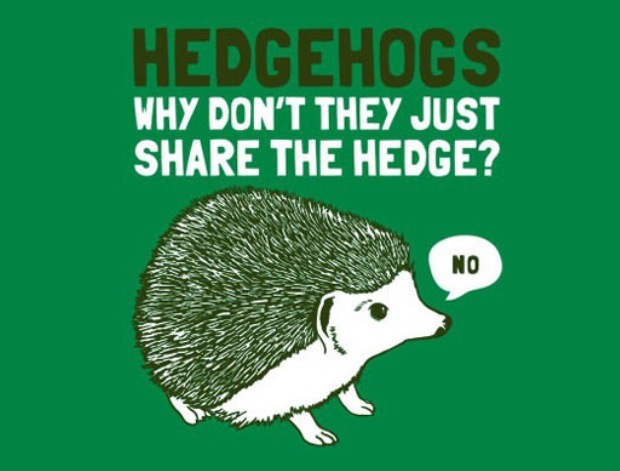 Okay, back to the topic at hand. I think it’s too bad these dudes are too scared or ashamed to admit they watch and love Downton Abbey. Haven’t we yet gotten to a place in the good ol’ USA where red-blooded men can hunker down on the couch and turn on the TV to enjoy the love-lives and financial issues of English folks in the 1920s? Are we really so very narrow minded, people? Should these very manly men come out of the drawing room and admit they watch Masterpiece Theater? Or must they hide forever in the stables like a scullery maid waiting for her tryst with the footman? Do you know of any closet DA viewers? Please let me be free. I have mixed feelings about zoos, and it was with a certain amount of anxiety that I recently visited the San Diego Zoo with my husband and two young children. On the one hand, I enjoy watching my children squeal with delight as they spot their favorite animals. After all, animals are fascinating, and I remember as a child just watching squirrels as they ran around, dug for nuts and generally reveled in all their squirrelly manicness. The squirrels were being themselves in their normal, natural environment. They were free to do as they pleased and follow their natural instincts. And therein lies the rub…zoos aren’t natural. So on the other hand, how do you enjoy the zoo when it comes at the expense of the animals? To try to make more sense of this, I made a pro and con list. Here it is. 1. Zoos sustain species, especially ones that are threatened. As the effects of climate change become more pronounced, zoos will probably play a more active role in assuring the preservation and survival of the most affected species. Animals that are hunted by poachers, especially tigers and rhinos, are able to survive due to zoos. 2. They provide an educational opportunity for people to see animals they normally wouldn’t be able to see. I don’t foresee going to Madgascar any time soon, so being able to see a lemur is pretty cool. 3. If the zoo is a well-run organization, it also includes conservation aspects, such as visits to local schools to teach about the environment and animals, outreach programs to help protect endangered species and so on. Obviously, these are positive aspects. 1. Zoos seem cruel in that they place human desires above animal needs. 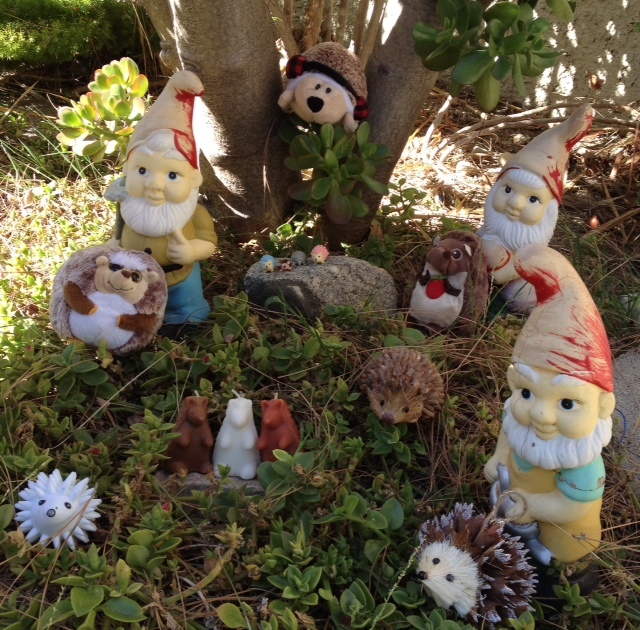 We’ve captured and enclosed these animals for our human amusement and enjoyment. When you see an elephant, which in the wild travels hundreds of miles a year, enclosed in a pen (even a spacious one), it is depressing. Elephants, especially, seem despondent in zoos and spend time swaying back and forth–not a sign of a cheery life. Monkeys are used to swinging through the jungles/forests. Does swinging in a much smaller area take away from their joy? I would imagine so. So, does human desire to look at these animals outweigh their mental and emotional health? Is that fair? 2. They are unnatural. Animals are not in their native, natural habitats. Even exemplary zoos such as the San Diego Zoo that try to recreate habitat can’t come close. That’s because animals spend their days being animals–hunting, avoiding being hunted, mating, marking territory and so on. Put a pride of lions in a pen and feed them. It’s not natural. What happens to the lions’ instincts to hunt, chase, and patrol? They can’t just go away. Does the lion attempt to do all those activities in a severely limited area with no natural prey in sight? That can’t be healthy; in fact, it must be maddening. What about polar bears that are used to swimming in oceans? Swimming in a pool must feel so limiting and confining. On our recent visit, we saw one polar bear repeatedly walk back and forth from one spot to the other. Why? Obviously, I don’t know for sure, but I fear it was boredom or frustration. 3. Do they break apart families, herds, prides, troops, and so on? The zoo animals come from somewhere. How are they procured? Are these animals taken forcibly from their families and habitats? For all the good that zoos do, I still can’t help feeling uncomfortable when I’m visiting one. Even as I try to intellectually justify visiting a zoo, I find that I feel inherently wrong for being there. Maybe it’s just me. Maybe this is just my hang up.